Cheap, safe and fast WOW EU CD Keys and Time Card are on sale now. For anyone who would like to buy World of Warcraft EU CD Keys and Time Card, Mmosale provide the most reliable and professional service. 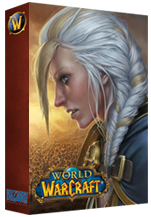 All the WOW CD Keys will be delivered via E-mail within 20 Minutes as soon as we confirmed your order. And our friendly staff will make every effort to make you feel comfortable and help you for the whole process. World of Warcraft: Battle for Azeroth is the seventh expansion pack for the massively multiplayer online role-playing game (MMORPG) World of Warcraft, following Legion. The expansion will be released on August 14, 2018.The expansion raises the existing level cap from 110 to 120. In order to give you a more favorable price of our World of Warcraft CD Key, we now provides a new Set of World of Warcraft CD Key. This set includes the CD Key of WoW Battle Chest EU, Cataclysm EU and Mists of Pandaria EU. Buy a set now with a lower price than separate purchase of each expansion. With the World of Warcraft Pre-Paid Game time card you can continue your epic quest for 60 days without a credit card. Prepaid Game Cards are easy ways to create a new subscription or extend an existing one. These cards add 60 days of play time to an account. comment: Quick delivery and support. comment: Quick delivery and easy to navigate the website for what I wanted. comment: Very good, all went well.